Accuweigh recently supplied a bagging machine to a grain supplier located in SA’s York Peninsula for bagging seed into 15kg and 20kg bags. Supplied in kit form, the Accupak GB50 bagging machine from Accuweigh was pre-calibrated to enable the client to complete the gross weigher himself. 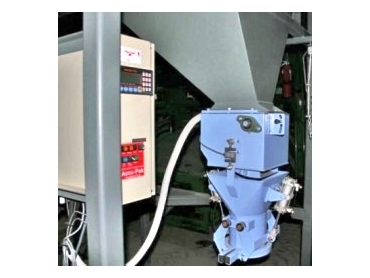 AccuPak bagging machines manufactured by Accuweigh are gross weight baggers, suitable for bagging most types of products including dry, granular, lumpy, crushed or powdered products. AccuPak GB50 bagging machines have a capacity of 50kg and are suitable for bagging products with inconsistent flow characteristics. Accuweigh’s technical director, Greg Brogan guided the client during the installation at the remote location and also provided basic bagging machine instructions. The bagging machine was pre-configured for use on the client’s existing hopper and connected to the weighing electronics by the client. A leading industrial weighing and packaging company with branches in all mainland states across Australia, Accuweigh has successfully completed several bagging machine installations at various locations.